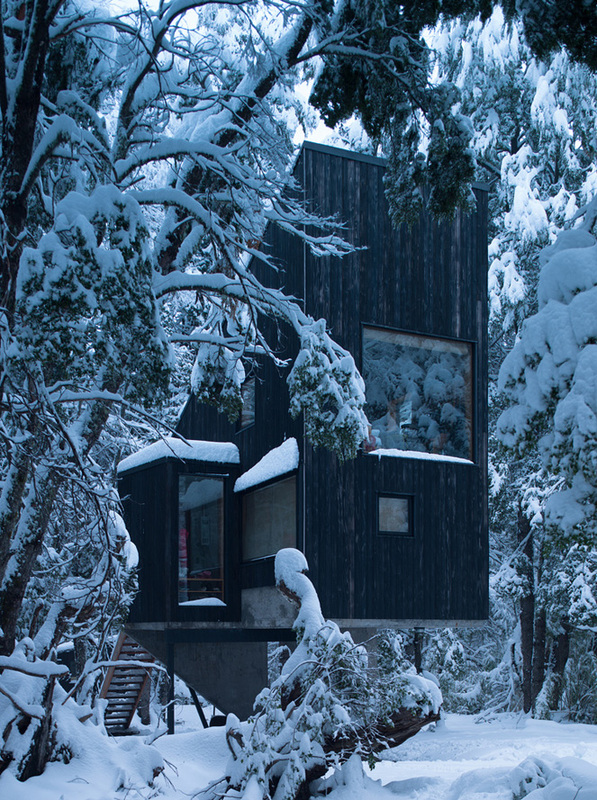 Nestled in a Chilean forest, the Shangri-la Cabin by D R A A takes direction from its century-old neighbors. 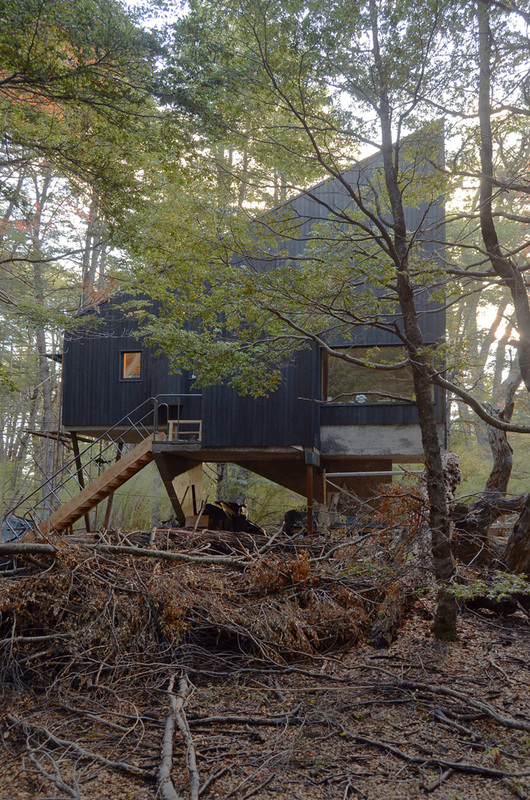 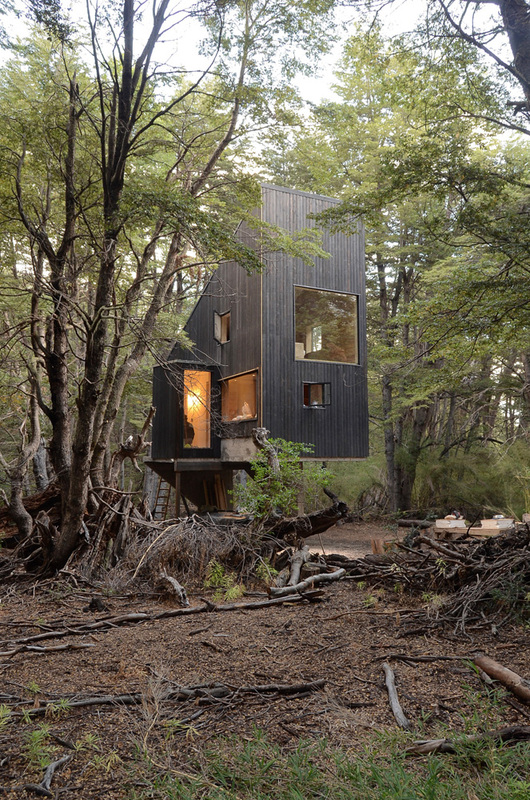 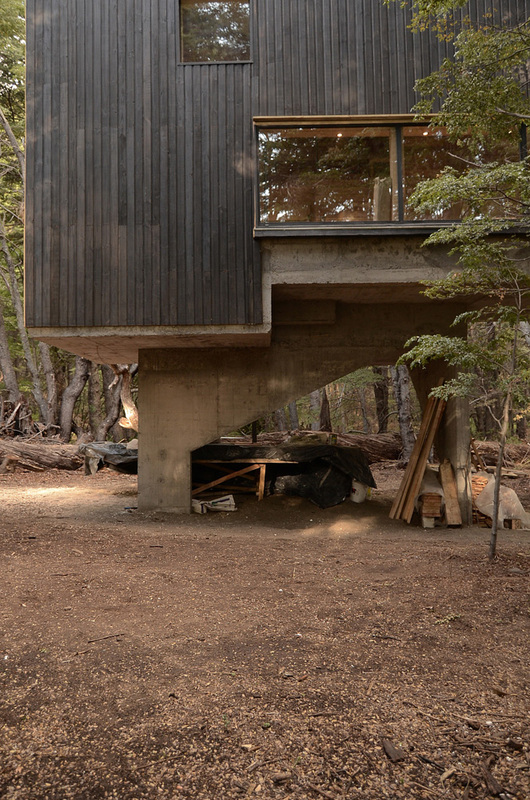 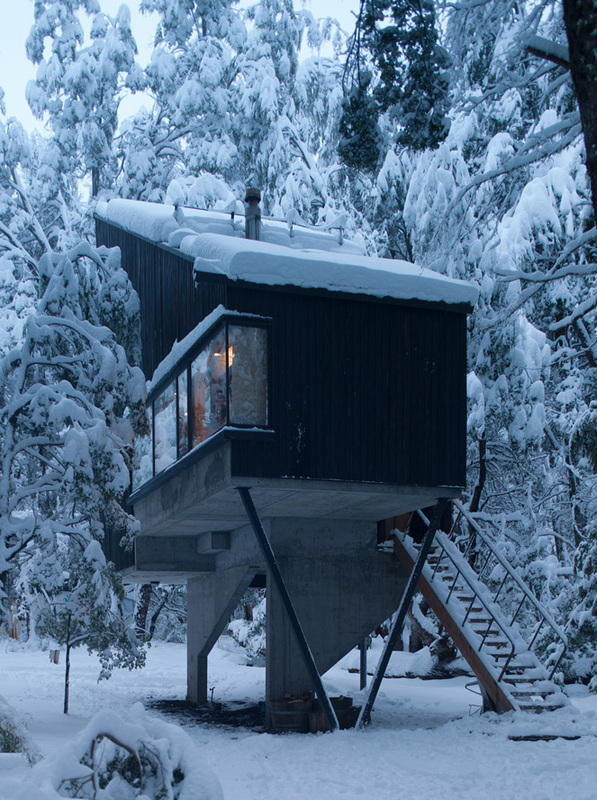 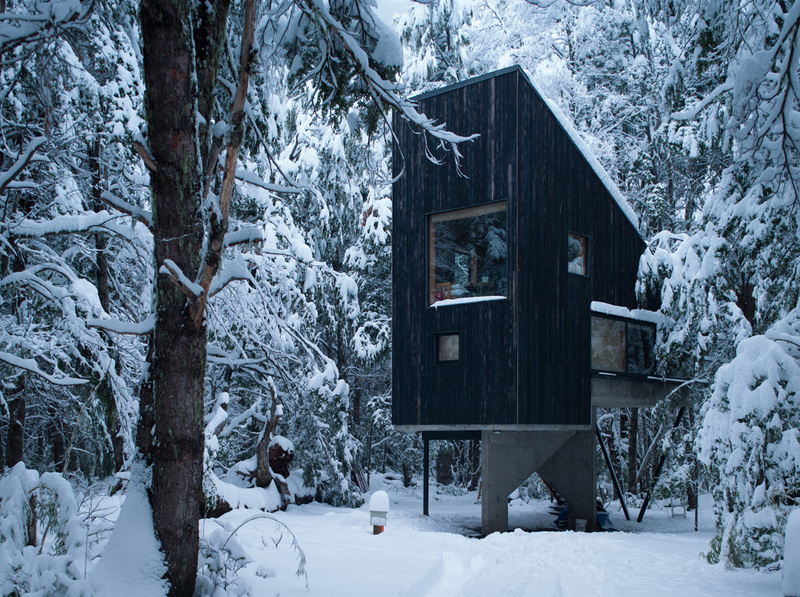 The shelter is clad in pine and charred like the remnants of volcanic ash while the interior is lined with timber planks made from the property’s fallen trees. 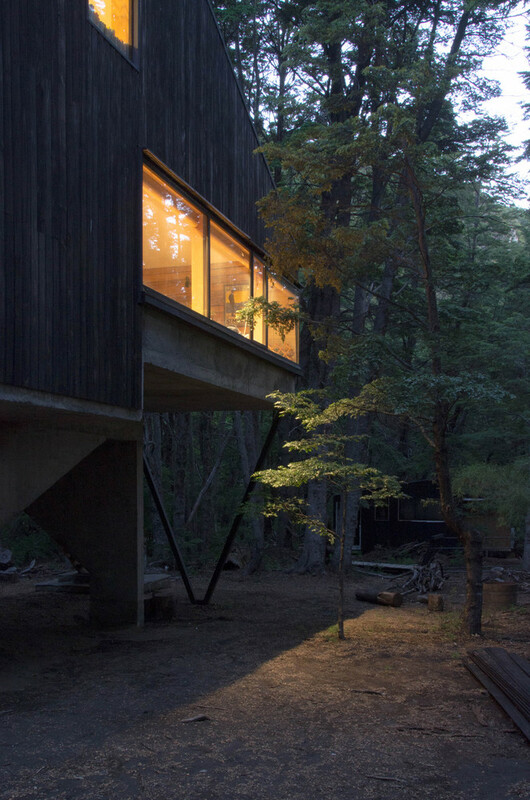 It sits on a concrete platform and rises vertically like the surrounding saplings seeking the light. 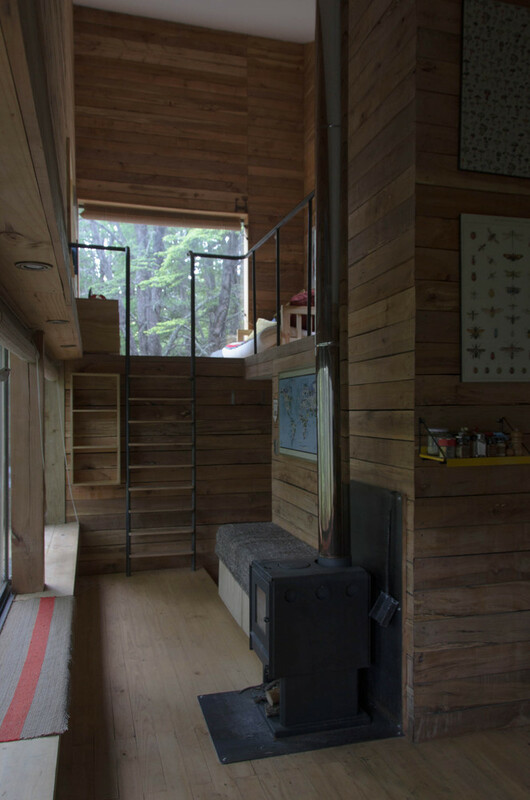 The warmth of the wood interior provides refuge from the often harsh climate offering a sitting room, kitchenette, and sleeping loft arranged around a wood-burning stove and north-facing glazing highlights the towering canopies. 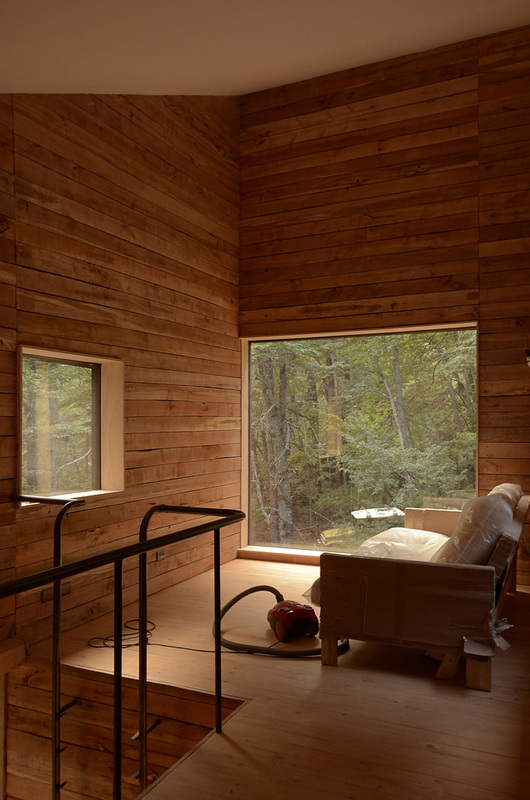 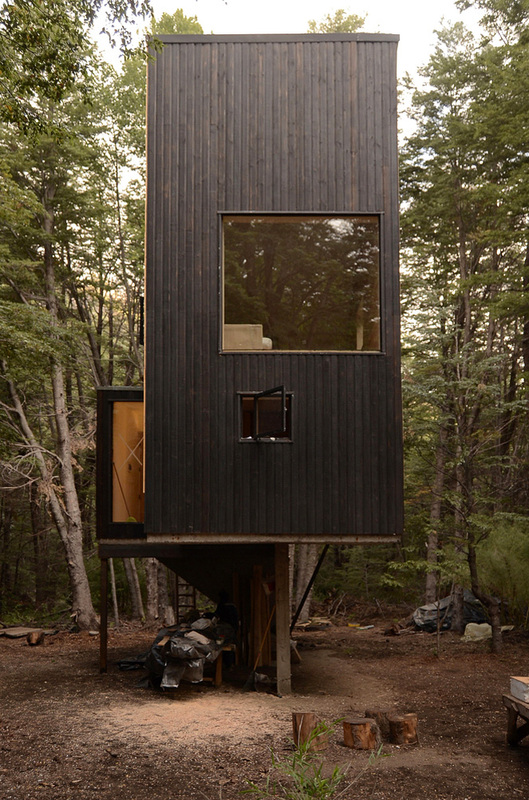 This particular cabin is just the first in a series that will eventually occupy the wooded landscape. 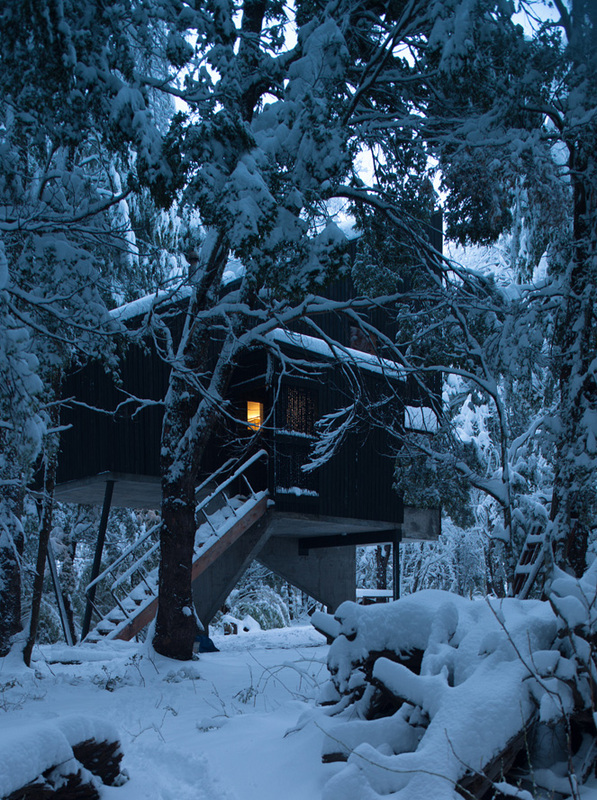 Also be sure to check other forest cabins: Hemmelig Rom Cabin in New York and Modern Cabin in Hemlock Forest.